What was the last thing you did for you? Congratulations! You rock! You are a family caregiver! Now, pat yourself on the back because you are awesome! No one can do what you do for your loved one. No one could possibly understand the sacrifices you make or why you even choose to make them. You do whatever needs to be done because you give unconditionally, and I am certain you could easily recall the last thing you did for your loved one. Now, tell me, what was the last thing you did for…you? Hmmm, you hesitated, didn’t you? Of course you did, because family caregivers rarely think of themselves. You don’t have time to worry about your own needs. That’s a selfish attitude, right? It’s not about you. It’s about your loved one. It doesn’t matter that you’re feeling a little tired and run down. You can handle it. Your loved one is counting on you. Asking for help is not an option. Asking for help is the same as admitting defeat. But what happens when you give…too much? You start to fill up with negative emotions like anger, frustration, and even resentment. Does this sound familiar? If it does, you are well on your way to caregiver burnout. The daily duties and challenges as a caregiver can sometimes feel like a wall that has fallen against your back. Every day the weight becomes a little heavier to endure until the wall threatens to crush you…and your loved one, as well. No, stop shaking your head. You are not being selfish. You are not abandoning your loved one. You are recharging, remembering how to breathe, again, and reminding yourself that you are doing the very best you can. Call a family member, a friend, or your local home-health care agency and ask them to sit with your loved one while you go out and do something just for you! Go shopping, go to the gym, get your hair done, get a pedicure, go to lunch with a friend, go sit in the park and feed the ducks…do whatever helps you to relax. I am very passionate about reaching out to the family caregiver. When I was six-months pregnant with my first child, my mother suffered a massive stroke. Needless to say, diaper changes took on a whole new meaning for me. I wish someone had told me all those years ago it was normal to feel uncertain, confused, and overwhelmed and asking for help once in a while wasn’t being selfish. 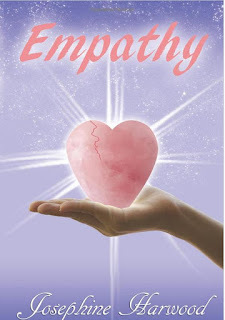 In my latest novel, Empathy, a compassionate caregiver named Delilah Walker tries to help a loving family cope after their mother suffers a debilitating stroke. Although Empathy is a fictional story, some of the incidents and situations described in the book are based on my own personal experiences as a family caregiver for the past twenty-six years. Empathy was written for you, my fellow family caregiver. My fellow family caregiver, it’s time to take care of…you. 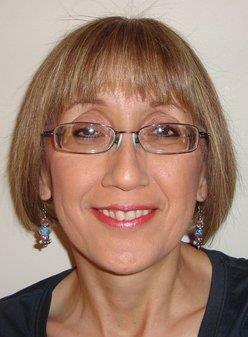 I am a wife, mother, family caregiver, and author. In my spare time I enjoy reading romance novels, working on jigsaw puzzles, and writing stories. I love classic rock music, football season, and spending quality time with my family and friends. Both of my books, Dark Secrets and Empathy, are available at major online book stores including Amazon, B&N, iTunes, and Smashwords. Now, it’s your turn! I would love to hear from you! Help support this ad free blog by answering several questions about caregiving here. It will take just two minutes. Call us. We're here to help.